We are making steady progress, obviously not quick enough for some on here, but certainly good enough for me. Perfect example after Fridays games was the Chris Wilder quote, he said Shef U in his first season got 100 points and promotion, last season 69 points, consolidation and this season 82 points and more to come. 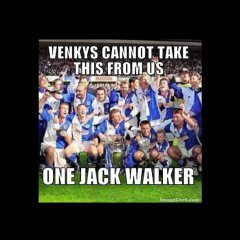 Rovers last season 96 points,promotion,this season probably around 60/62 consolidation, not a million miles away from their record and hopefully kick on next season. No, still think Raya can make it, certainly better of the two of them, but if TM can pick up a decent keeper, who can handle crosses, al well and good, would keep Raya as back up. Armstrong MOM good all round performance,keeper disappointing. Think I’m being realistic more than mediocrity, who would your kind of manager be, taking into budgets etc, think he’s a very knowledgeable guy,but sometimes overthinks things and worries too much about the opposition, but like I said decent manager, and realises he needs to replace 4/5 players next season. Hopefully he gets time to get them in, and progress again next season. Told on Tuesday Rovers have a new company in place to replace Northcote, couldn’t get a name yet, but saying they will cover all hospitality and the concourse. Think a lot of Rovers fans would have Big Sam back but he was probably the most negative manager we’ve had. Best manager we’ve had for quite a while, obviously has his faults but a decent manager.